A MEMBER of the Seanad who has decided not to nominate Senator David Norris for the presidency has asked his supporters to stop calling her office, describing some of their contact as “abusive”. In a post on her official Facebook page, Jillian van Turnhout confirmed her decision not to join the 17 other members of the Oireachtas in signing Norris’s form, affirming a decision originally made in July. 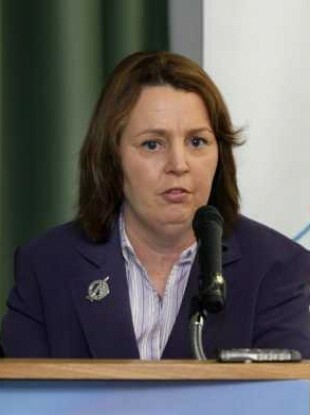 Van Turnhout – one of Taoiseach Enda Kenny’s eleven nominees to the Seanad, and the chief executive of the Children’s Rights Alliance – asked Norris’s supporters to wind down their campaign asking for her to change her mind. “I would now ask that the emails, phone calls etc would stop. While many are polite and well-intentioned. a number have been abusive and it now feels like harassment,” van Turnhout wrote. The senator explained to 2fm’s Ryan Tubridy that she and Norris had held “an amicable meeting” in July where she had explained the reasons she did not wish to nominate him. Describing the level of contact from the public as a “constant barrage”, she said: “There are many other members of the Oireachtas – Fianna Fáil have gone into lockdown – so we’ll all looking at just a few of us [parliamentarians], and we’re singing us out. Van Turnhout added that she would have “no difficulty” seeing Norris gain sufficient nominations to appear in the election, but felt she could not endorse him herself as a result of her work on children’s rights. Norris’s presidential hopes took a dent last night when Senator Rónán Mullen and TD Seamus McGrath both ruled out nominating him – leaving only two TDs, Mattie McGrath and Shane Ross, still undecided about supporting him. With Norris needing the support of three further members of the Oireachtas, he will now be dependant on either Michael Lowry or Noel Grealish – both of whom have ruled out making any nomination – changing their minds and agreeing to nominate him. If they don’t, he will then be reliant on local authorities – several of whom are meeting early next week to decide on nominating a candidate. This lunchtime van Turnhout tweeted again to say she had enjoyed a “friendly call” with Norris who had asserted that he “does not support nastiness”. “Everyone has a right to an opinion, but keep it balanced,” she wrote. Email “Senator says requests for Norris support 'feel like harassment'”. Feedback on “Senator says requests for Norris support 'feel like harassment'”.